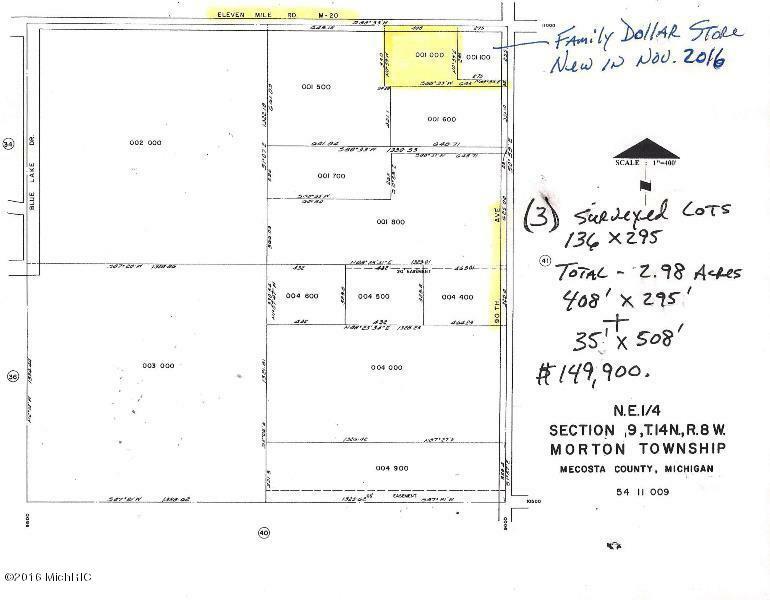 C-1 commercial land, 2.98 acres, 408ft. 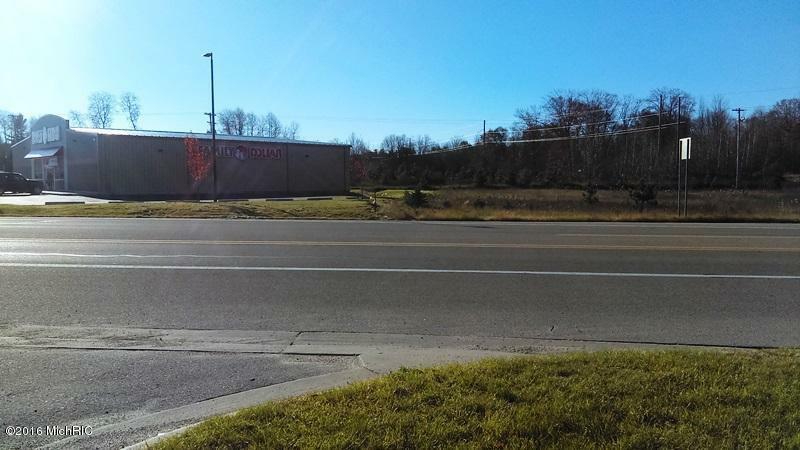 of M-20 frontage. 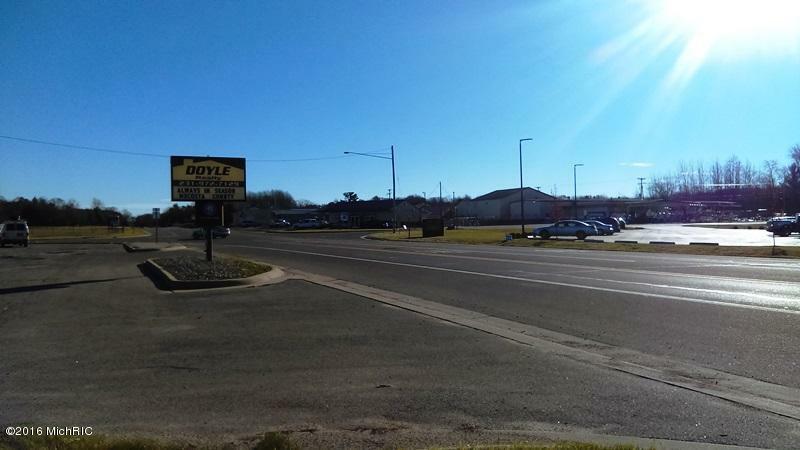 Located 2 Miles West of Mecosta at the 'Heart of the Lakes Corner'', businesses include,Lakeside Motor Sports, KJ's Family Restaurant, Conley's Bakery, Denslow's Market, KD Family Hair Care, Becky Lentz Physical Therapy, Doyle Realty, the new Family Dollar Store and the Mecosta Airport. 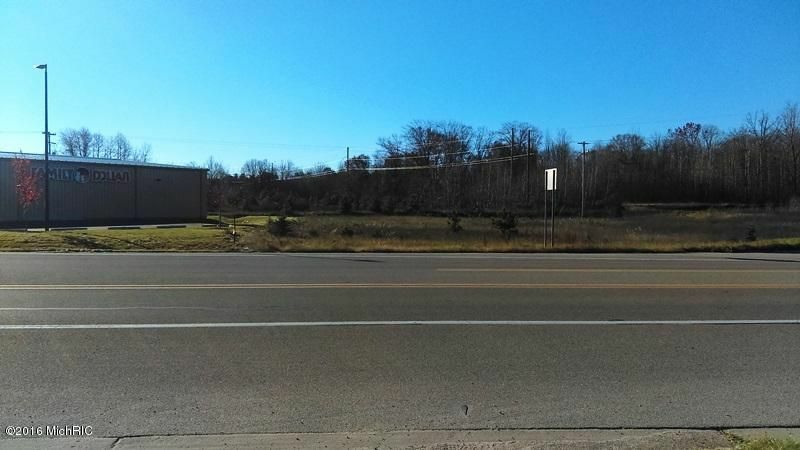 Legal: C-1 Commercial land. tax id. 54-11-009-001-000. 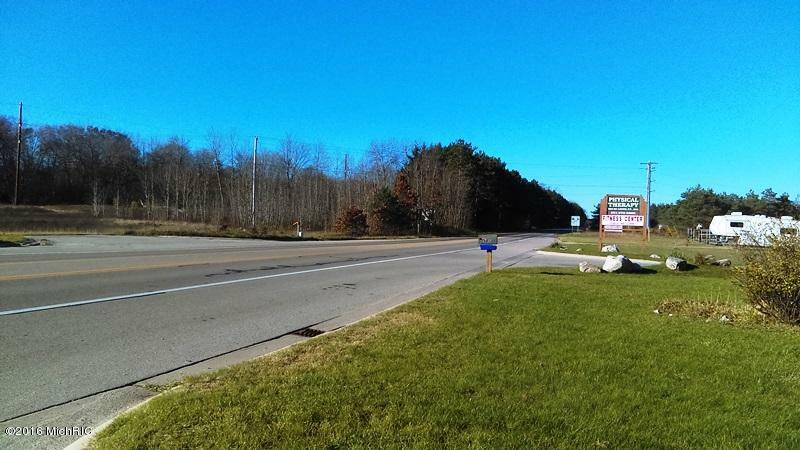 Directions: West M-20 from Mecosta to just West of 90th. Ave.